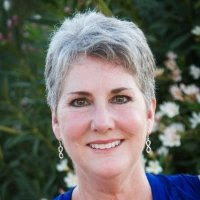 Jacqueline Nash Bloink has been in the healthcare industry since the mid 1990's. Her experience includes Medical Practice Administration, Coding and Reimbursement Management, Corporate Responsibility Auditor, Director of Compliance and Educational Specialist in the area of Health Information, Medical Coding, Medical Billing, Medical Assisting and Healthcare Fraud. Ms. Bloink is the owner of Jacqueline Bloink LLC- an independent organization that provides healthcare compliance consulting, educational services, risk analysis and fraud examinations. She enjoys and looks forward to working with many professionals- including healthcare providers, hospitals, consultants, government entities and attorneys. As a published author and national speaker, Ms. Bloink enjoys presenting on topics such as healthcare compliance, medical coding and billing and healthcare fraud. Ms. Bloink is an active educator in the area of Health Information Management and has assisted with the CAHIIM accreditation of a California Community College. She has also designed online classes in the area of Health Information Management / Technology and Healthcare Fraud. Ms. Bloink is the proud recipient of the 2009 Faculty of the Year Award from San Juan Basin Technical College and the 2015 Sentinel Award from the Arizona Association of Certified Fraud Examiners (Truth Over Self.) She was also awarded the 2014 and 2015 Champion Instructor Award from Ultimate Medical Academy. A list of publications and presentations authored by Ms. Bloink can be found on a separate tab on this site. Ms. Bloink was honored to be asked to assist with the design and presentation of the 2014 CMS / OIG webinar titled ACA Provider Compliance Program- Getting Started . She was also a co-author of the 2017 AAPC Certified Professional Compliance Officer (CPCO)curriculum. There is a contact link on this site. Please feel free to contact Ms. Bloink.